Streetwear as the new modernism. | Contravex: Essais de Pete D.
Streetwear as the new modernism. For most people, luxury means tradition, it means culture, art and heritage. People want to understand what the heritage and culture of a brand is. There is another mentality coming in, which is through hip-hop culture and streetwear, which many people wouldn’t consider to be ‘luxury’, but it can also be and it can influence luxury.i Today, there’s a new generation of millennials who feel much closer to Hiroshi Fujiwara in Tokyo, than to what we have considered ‘luxury’ in the 18th or 19th century. JCB’s exactly right too. For most people, wearing a tailored suit or a fitted dress speaks to a sense of tradition, culture, art, heritage… “dignity,” even. But of course that also means that, on the flip side of the coin, it’s old-fashioned, outmoded, stuffy, and artificially constraining. One man’s professionalism and propriety is another man’s dullardly in-the-box-thinking. Or more properly, one parent’s professionalism and propriety is their child’s dullardly in-the-box-thinking. 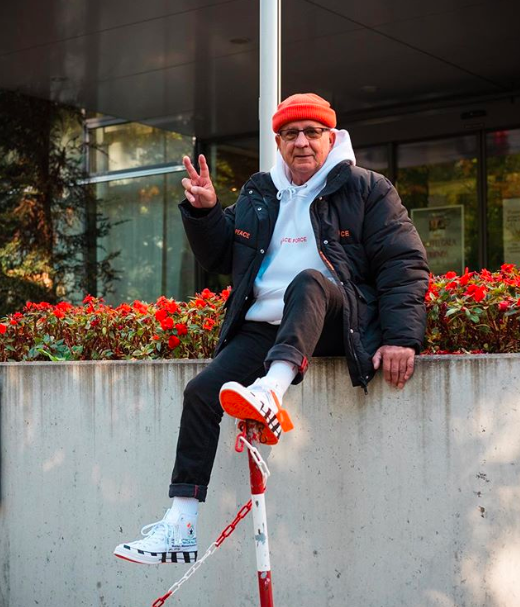 So it is that streetwear – a studiously relaxed sartorial style based on comfortable sweatpants, hoodies, and sneakers – represents the pupating shot across the bow that teh youf are embracing with such relish you’d swear someone was giving away free hotdogs. After all, who wants to look and feel like an old man ? No self-respecting young person, that’s for sure!ii And since gramps wears leather loafers, pleated slacks, plaid blazers, and collared shirts, that’s exactly what kids won’t wear. Leveraging new materials, new manufacturing techniques, new supply chain flexibility,iii new ways of shopping, and under the auspices of new brands, youth the world over are giving the middle finger to the stultifying and archaic fashions of their forefathers. “We don’t want your stuck-up properness, we want to be comfortable and casual,” they say. For them, Larry’s leisure suit was but a transitional phase between the bygone days of rigid formality and today’s era of near-universal comfort. And what else could our era be but one of near-universal comfort ? As with mincome, post-chivalry, #metoo, pandemic neoteny, and the rest of it, streetwear is the perfect embodiment of our age. It’s at once self-indulgent and self-interested,iv while also being accessible and ecumenical. It’s ideal for our jetset lifestyles because it never needs ironingv while also giving a nod to the emerging feudalist world in which we’d ideally own nothing that we can’t fit in a rucksack. Not that this is a bad thing!! It’s at least more sophisticated (and more cultured) than the usual post-post-modernist-progressivist gargle, and therefore much better adapted to both our Information Age and the cold realities of our circles of real influence. It’s also more democraticvi than the elitist expressions of 20th century modernism. Take Seagram for instance…vii Not that streetwear is free of its own elitism, but with the middle-class-white-picket-fence-dream all but shattered over the knee of globalism‘s inherent winner-take-all effects, owning a cool pair of kicks, even a pair costing $1`000, is at least attainable for the millions and millions left behind. So this fast-moving fashion space is where the dreams of the next generation are being made manifest. Just ask JCB. He gets it.